Kendra Shaw: I hear you like hack? Captain Kara 'Starbuck' Thrace: You hear what I do to get there? Q: What are the differences between the TV Version and the Unrated Extended Edition? 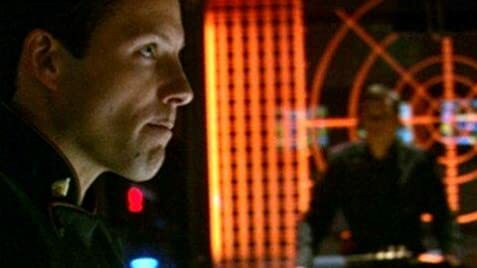 The film presents an episode of the battle against the Cylons seen through the eyes of the first aide of loony admiral Cain. It has all the good things which got me hooked to Galactica in the first place: edgy characters, dark plot, lots of space action and military strategy, twists of fate. 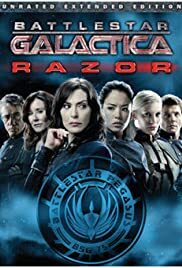 A few more women characters that I would have liked, none of Gaius Baltar, which in my personal opinion is at least a third of the show, but still a heck of a movie, closer to the high powered first season of Battlestar Galactica than to the new philosophical/religious last season. Bottom line: It was hard to delay watching it until the start of the fourth season of the show, but it was all worth it.